A complete and authentic issue of the Philadelphia Daily News, April 24, 1865, completley adorned with mourning rules, 4pp., VG. 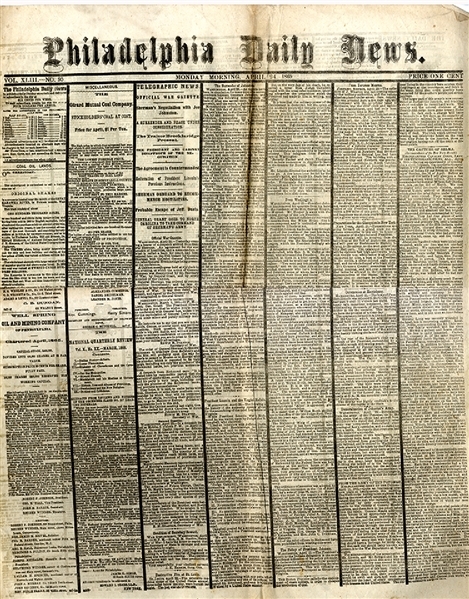 Front page war reports and updates of Lincoln’s body. 1” edge ter at fold, else VG.